This week is Deaf Awareness Week, which aims to raise awareness of hearing loss in the UK and its impact on people's lives. Hearing loss is common and can affect people of any age. About 16% of adults in the UK have some degree of hearing loss. It is thought that half the general population above the age of 75 have some hearing loss. Children are the next most common group to be affected, usually due to fluid or infection in the middle ear but also due to congenital problems or viral illness during early childhood. Hearing loss can interfere with normal communication with others on a daily basis. It's not always easy to tell if you're losing your hearing. The NHS has a list of symptoms and treatments. If you are unsure about your symptoms you should visit your GP. If you are working with someone who has hearing loss there are a wide range of websites offering support and advice on the importance of deaf awareness, the different experiences of deafness and hearing loss and how it affects individuals. 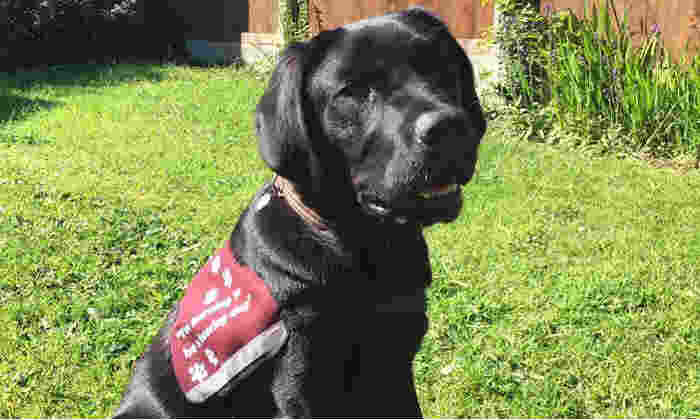 Heather Mawson, Head of Pensions, is currently making a difference as a volunteer puppy socialiser for Hearing Dogs. Her family are currently sharing their home with Onyx, who is destined one day to support a person with hearing loss.